Roz How much do you consider an author’s platform when deciding whether to offer on a manuscript? Laura Our submission readers do consider marketing potential, whether the author has relationships with well-known authors who might blurb, and—most importantly—whether the author has built genuine community and relationships with indie bookstores. We don’t measure social media account followers or anything of that sort, though. Roz Speaking of which … You’ve built a great relationship with authors and bookshops and a supportive community within the writing world. Laura I moved to Portland in 2001, founded a writing group at a local bookstore, and then proceeded to watch the literary scene and write fiction for 10 years. I didn’t know how to engage—or that I should engage. I didn’t realize I could speak up, or be part of the community, besides as a witness. When I founded the press, I built on those years of being present on the scene, and that credibility helped me earn respect, blurbs, and consignment deals with local bookstores. Roz I follow you on Facebook and often see lovely pictures of you at your authors’ readings. Laura Showing up and listening and supporting others is important, of course, and that’s really how I built my community. I founded my press nearly six years ago now, but I also had that decade of being present, of walking into indie bookstores and listening. Going to other authors’ and presses’ events is still very important to me. I encourage writers not only to show up at events, but to say hi to the people sitting next to them, to introduce themselves to the presenting author(s) when they ask for an autograph, and always bring business cards. Laura I founded Main Street in February 2017 to urge writers to support each other at the local level—and their indie bookstores—as a way to strengthen the literary ecosystem. The movement crystallized out of the core values I have as a publisher. One component of Main Street is amplifying underrepresented voices. If your voice is well represented, or if you have social capital, use your voice to direct attention to stories that need to be heard. Don’t hog the mic; pass it. Don’t take up all the space with your words; leave space for others. We’re in this together; we need to have parades for each other and celebrate each other’s achievements. This is an anti-competition movement, a togetherness movement, and quite frankly, a quest to get writers who want to establish professional careers to actually support publishers, literary magazines, and booksellers, which strengthens the industry and then in theory creates more space for more voices. It’s really, at its most basic level, what I’m doing to fight the erosion of reading culture. We have a Main Street pledge and newsletter, which is on hiatus right now, because I’m focused on a publishers’ speaking tour. I talk about community at every gig, no matter what the topic. Then I challenge my audience to do something: attend a reading at an indie bookstore, or volunteer at a school, for instance. I’ve been to Pasadena, Tucson, and several Portland events already this spring promoting these values and trying to inspire others to do this work too. Because a movement isn’t about a founder; it takes all of us. Michael Ferro, author of Title 13 (Harvard Square Editions) has been quoted publicly about reaching out to me for advice, only to have me connect him with publishing community members in his own city, Ann Arbor, Michigan. He’s a great example of what Main Street can be, because he took the example I set and is now passing on what he knows to others. If we all reach out and share what we can, we’re going to uplift each other. Roz Michael Ferro? Small world. 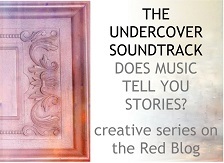 I saw that post, tweeted it, we then got chatting on Twitter and he’s writing a post for The Undercover Soundtrack. I love what we can do simply by saying hello. 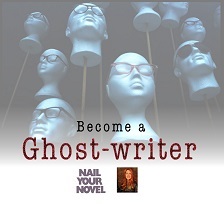 Any advice for an author thinking of setting up a publishing house? Laura Figure out your business model, your distribution method, your initial number of titles, and the cost of running the business for the first two years. Don’t forget to factor in printing costs, mailing costs, design software, freelancers, Internet access, and everything else you’ll need to make your business run. You’ll find helpful and accessible information in Joe Biel’s forthcoming People’s Guide to Publishing: Building a Successful, Sustainable, Meaningful Book Business, forthcoming in late 2018 through Microcosm Publishing. If you want to do some reading right now, Thomas Woll’s classic Publishing for Profit is a great resource. Laura – thanks so much. This has been fascinating, inspiring and empowering. Guys, you can find Laura at the Forest Avenue website, on Twitter @forestavepress, on Facebook and on Instagram. While I’d never claim that genre writers ‘have it easy’ in this publishing ecosystem, they have undeniable advantages – they plug into well established tribes. That’s why I wanted to make sure you didn’t miss this – a campaign that aims to represent the work of literary writers, small presses, independent bookshops and anyone who struggles to be heard or find their audiences. It’s called the Main Street Writers Movement and it’s the brainchild of Laura Stanfill, of litfic publisher Forest Avenue Press. Laura’s vision is for a number of hubs around the US with live events and networking, but if you’re not one of her geographical neighbours, don’t be put off. Wherever your desk is (I’m waving to you from London), we can blog, tweet, share, meet IRL (heavens!). And support each other to do what we must do. It could be a lifeline for literary. I like this immensely. This is about honesty; making meaningful connections. If enough of us get involved, we’re all more likely to find the people we really do click with. 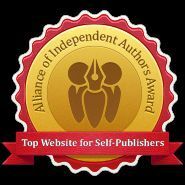 Writers, publishers, agents, bloggers, reviewers, events organisers – and readers. There’s a pledge (which, alas, you can only sign if you have 5-digit zip code), but you can register separately for the blog and the newsletter. There’s also a hashtag #mainstreetwriters so we can all get – and stay – in touch. I think it looks exciting. Back with a proper post this weekend.